With over 60+ dining options at Disney Springs, it’s super tricky to pick which ones to dine at! Signature dining, table service, quick service, kiosks, and even food trucks – one thing is for sure, you’ll never go hungry at Disney Springs. Let’s check out what the “one of a kind flavor” Chicken Guy! has to offer and a few things you’ll want to know before dining there. 1 – What’s in a Name? Food Network’s TV Host, Guy Fieri, has been branching outside of the Food Network box and serving up his own dose of deliciousness! 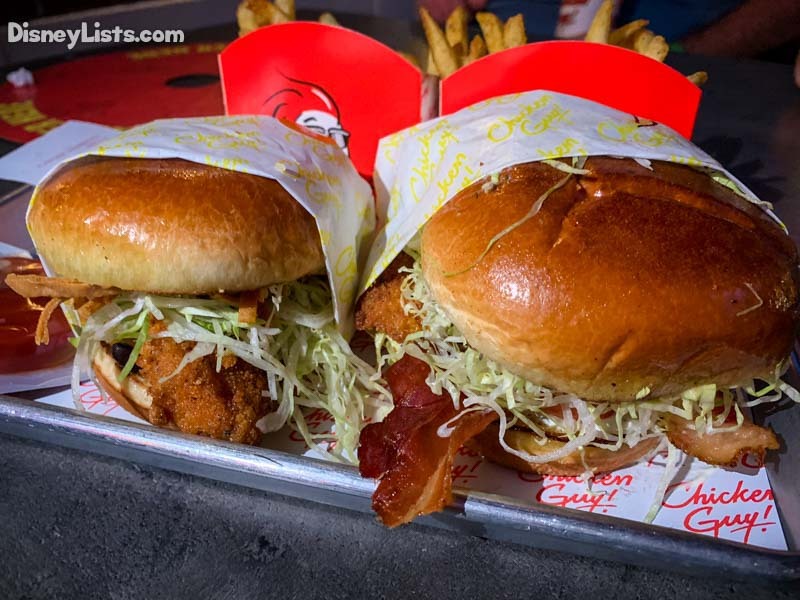 Guy partnered up with Robert Earl, a restauranteur, with the idea to launch a quick service restaurant that provided great food at surprisingly great prices (especially for Disney food). Robert Earl is known for the long-time favorite Earl of Sandwich, a quick service restaurant located on the Marketplace side of Disney Springs. Robert also joined forces with Guy to kick off the re-imagined Planet Hollywood which opened its doors in 2017. As of summer 2018, the ground floor of Planet Hollywood has been transformed into Chicken Guy! 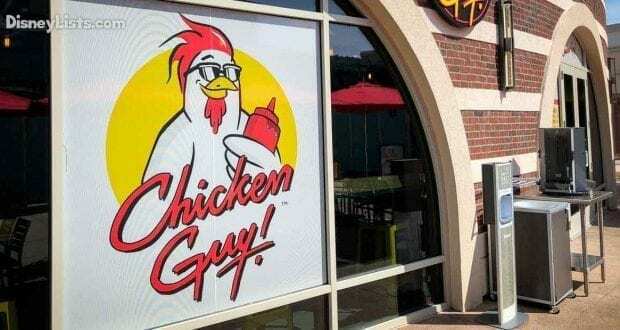 – featuring, of course, Guy’s popular name for this chicken serving restaurant. We speculate the exclamation point after the restaurant name matches Guy’s bold personality (and flavors). Disney Springs seems to expand, change, remove, or just be under construction more often that Mickey Mouse gives out hugs! We get that Disney Springs can be hard to navigate. Have no fear – Chicken Guy! is a super easy find. If driving, park in the Orange Parking Garage. As you step out of the parking garage, turn right to go towards Town Center – between the very noticeable Coca-Cola Store and Planet Hollywood. You’ll spot Chicken Guy! on your left which is literally under the Planet Hollywood restaurant. It also neighbors The Store at Planet Hollywood. If you’re looking to seat a large party at Chicken Guy!, we’ll already tell you to find somewhere else to dine. This quick-service spot is super small inside with a few tables and booths. Outside, you’ll find an arrangement of a few picnic-style tables. Thankfully, the outside seating does have umbrellas over each of the tables, but if it rains, you’ll get wet. When we dined for dinner on a Friday night, we wanted to eat inside because it had been a rainy day and the seating outside looked wet. We weren’t able to find seating inside, however, so we used paper towels to wipe down the chairs and tables as needed outside. The rain held off and overall, the uncommon cooler weather that evening made for a comfortable dining experience. Probably the toughest decision is which of the 22 sauces to choose from! It’s standard that two sauces come with your meal, but if you want to add in more than two, you’ll pay an extra $0.50 per sauce. There are 7 of “Guys Favorites” sauces, 10 “Classics” sauces, and 5 “Hot and Spicy” sauces. It’s almost impossible to choose! While this may be a tough decision, the best part is knowing that each meal you have at Chicken Guy! is going to be a different experience for your taste buds. You can mix and match however you choose so have some fun with it. The Special Sauce and Donkey Sauce were fantastic in our opinion. Make your chicken selection a combo which includes Chicken Guy Fries and a drink. The fries are seasoned just right. It’s not the usual salted fries you’ll find at a fast-food spot. These fries have a very slight kick to them. You can also choose sides to go along with your meal like American Slaw, Loaded Fries, Fried Pickle Chips, and Mac Daddy Mac ‘N’ Cheese. While we loved the chicken and fries, the Mac Daddy Mac ‘N’ Cheese wasn’t something we would reorder. A pretty dry mac and cheese… even our kids weren’t overly impressed. They did love the dessert, however! Two shakes are available including the Triple Double Mint and Cinnamon Apple. The favorite of the two was the Triple Double Mint with crushed Oreos and mints. The Cinnamon Apple shake wasn’t finished by the family. We think you have to be a big Apple Jacks cereal fan as it tasted like slurping a bowl of Apple Jacks through a straw. The Mint Shake, however, is definitely a repeat on our list! It really is! Walt Disney World is not a place to go and save money but at Chicken Guy! 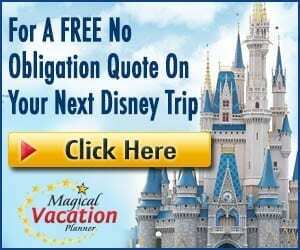 you can plan to spend less to feed your family for a meal than what you’ll likely spend at 90% of the other restaurants at Disney Springs and surrounding eateries. You can get a Sauce Boss Sandwich Combo (fries and a drink) for $11.49. Plus, the meal is a hearty one! They don’t skimp on the size of the sandwich or the fries – AND drink refills are allowed. Kids’ meals are $5, as are the two shake options. Chicken Guy! 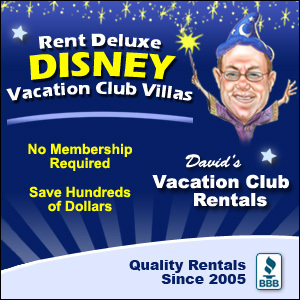 is your place if you’re looking for more bang for your buck. We were greeted by a super helpful Chicken Guy! “host” as soon as we walked in the door. He was very knowledgeable of the menu, gave us a brief rundown, and pointed us in the direction for ordering. We even asked him about a Celiac person in our group and he said they do offer gluten-free options, as the fryers for the fried chicken and signature fries are separate. Despite the gluten-free option, our Celiac member decided to pass on eating, as the busyness behind the counter made him worry about easy cross-contamination. Two tellers were set up to take orders which made the ordering line move rather quickly. Ordering was easy – we were giving a table marker, our drink cups, and headed to our table. The food came out quickly to our table which didn’t surprise us because of the several workers behind the counters assembling the food. The staff even checked in on us a couple of times to see how we were doing and if we were enjoying the food. 9 – Yes, We’ll Go Back Again! Without a doubt. 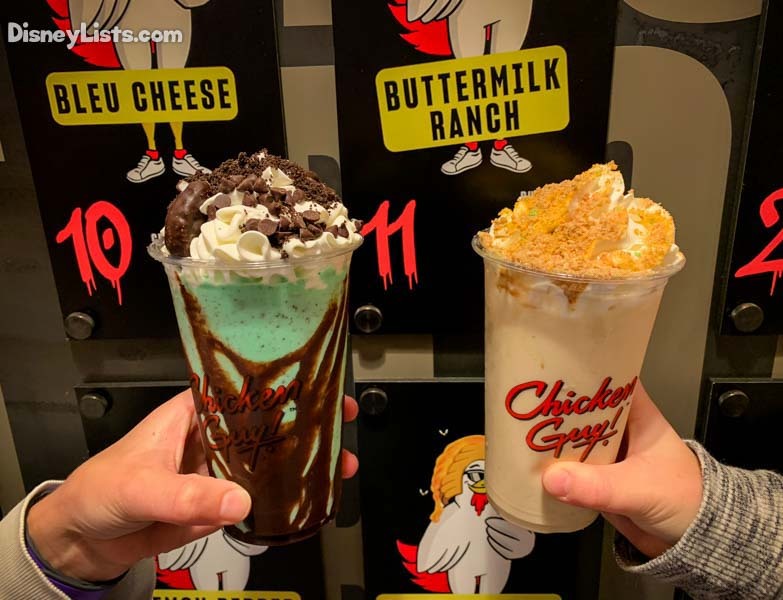 The kids want mint shakes and we want another bite of one of their juicy sandwiches as we speak. It checks off a lot of boxes for us as far as fast, easy, budget friendly – and most importantly, it’s super tasty! The only negatives are the small size of the facility which just helps to be aware of in advance. We also weren’t impressed with the one Coke machine available which we had to form a line to get a drink from. While we were uncertain of trying Chicken Guy! with all the mixed reviews, we are thankful we did and enjoyed the bold flavors it boasts.